We live in a world today where everyone claims to have “The Answer,” the coveted explanation for why things are the way they are and how to make the most of life. We go around searching for one easy solution, but eventually find that it is by looking inward toward oneself (while paying attention to one’s outward experiences) that will ultimately inform us of the truth. One of the places people may choose to look for grand explanations of their personal experiences is by turning to astrology. 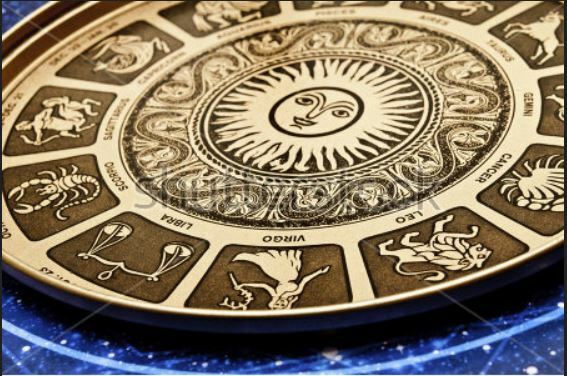 Astrological horoscopes can easily be found in newspapers and magazines and consist of a list of brief words of advice categorized by titles denoting specific ranges of dates of birth. So if you were born between October 24th and November 21st, you would be known as a Scorpio, symbolized by a scorpion. However, if you were born between November 22nd and December 21st, you would be considered a Sagittarius, represented by a centaur archer. According to astrology, the date, time and location of your birth are all extremely relevant to how your personality develops and what kind of strengths and weaknesses you elicit in your lifetime. This is due to the fact that at the moment of your birth, the stars were in a specific configuration, affecting the energy of the atmosphere and thus the formation of your true inner self. Unfortunately, astrology has been given a bad rap in the modern world: too many people associate astrology with the cheap horoscopes that come out in daily newspapers. But these are merely fluff, and tend to read like fortune cookie slips, sounding unspecific and universally applicable. In my experience, if you do your own research and experimentation within the realm of astrology, you may find that it actually deserves more credence than it receives. First of all, people generally understand astrology simply as knowing one’s sun sign. If you’ve ever heard the goofy pickup line, “Hey, what’s your sign?” that is referring to the sun sign. In fact, we all have many signs, including a moon sign as well as a rising sign. While your sun sign describes your core nature, your moon sign ascribes a personality to your emotional self and your rising sign, or ascendant, defines your outer shell, or how you immediately meet and are met by the world. This all may sound unnecessarily complicated to someone who has little to no interest in this field, but in fact the knowledge that is embedded in this means of understanding phenomena is actually a wonderful window into the self. On a deeper level, astrological readings for the exact time and location of one’s birth can reveal much, much more. It can describe your place in your family, your tendencies in romantic relationships, your role in friendships, your career interests and talents, and your thoughts about yourself, among other things. It can also tell you how different years of your life may have been experienced by you based on the movement of the cosmos in relation to your settings. While some people may hate to have a person tell them what to expect from life (or what they cannot expect), it can actually be a very validating experience to have an astrologer (or a book that helps you read your own chart) tell you that all of these things that you have over-thought or tried to ignore about yourself are just there and were always meant to be, freeing you to move on from thinking you must be like someone else. What I find beautiful about astrology is that it is a remarkable way of showing us that each and every person, no matter what category they may fall into, or what sign they may be associated with, naturally comes with a balance of areas of talent and shortcomings. To me, the study of astrology provides a very real way of acknowledging the fact that we are all just pieces of a greater image. We each have different gifts to offer to the world and yet there is always room for growth, and space to learn from others. In other words, astrology teaches us that as a collective, we form one sustainable whole.